RISE: Empower, Change and Action! RISE: Empower, Change and Action! brings artists into dialogue and brings forth what is important to self, community, our nation and the world at large through art that reflects on, addresses and seeks solutions for a more positive, empowering future, particularly for self-identified women and girls as well as their families. It is underpinned by the feminist principle that believes in political, economic and social equality for all. RISE emphasizes the commonalities of our human experience. Owner, McLoughlin Gallery, San Francisco. The McLoughlin Gallery is contemporary art gallery serving as a site for exhibitions and public programs working with established international and local mid-career and emerging contemporary artists. We represent and promote artists working in a wide array of media, including painting, sculpture, photography, video and installation. The mission for the gallery is to promote works and exhibitions with a social conscience and with plans to give back to the community. The gallery features established, European artists and emerging artists in the United States. Jessica L. Porter is the Executive Director of New York Artists Equity Association, Inc (NYAEA) a 501(c)(3) non-profit organization founded in 1947 by artists and art patrons with the mission to promote opportunities for artists. It operates Equity Gallery, an art space located on the Lower East Side of New York City. Porter maintains her own consulting company since 2001, Porter Advisory, working with organizations and other galleries as an independent curator, creating exhibitions in alternative spaces and exposing emerging artists to unique opportunities. She advises emerging artists on career development, marketing and strategic growth and guides collectors and institutions through art selection processes and investment. From 2006 to 2017, Porter founded and directed Porter Contemporary, a Chelsea art gallery, where she was responsible for the overall strategy, business development and market growth, marketing and communications as well as talent acquisition and development of the gallery. ​Executive Director, Weinberg/Newton Gallery, Chicago. David Weinberg is the Executive Director of a contemporary art gallery originally debuted in 2006 as David Weinberg Collection in Chicago’s River North neighborhood. In 2016, the space became Weinberg/Newton Gallery, having taken on a new mission focused on social justice issues. The change reflected and acknowledged the influence of attorney and philanthropist Jerry Newton on the gallery’s work, particularly in building relationships with partner non-profit organizations. Newton actively has been involved with organizations including the ACLU of Illinois, Human Rights Watch, and Personal PAC for more than four decades. Together, David Weinberg and Jerry Newton have guided the Weinberg/Newton Family Foundation since 2009. David’s commitment to educational reform and passion for social justice is at the core of the gallery's mission. Weinberg/Newton Gallery aims to create space for dialogue about the many social justice issues that concern our local Chicago community and beyond. In collaboration with artists and non-profit organizations, we work to cultivate a culture of consciousness and inspire change by way of exhibitions, panel discussions, film screenings, artist talks, and more. 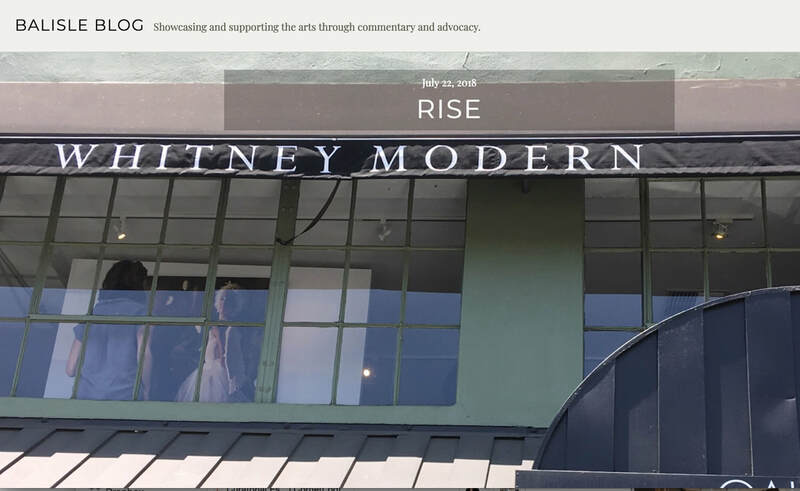 Owner and Director of Whitney Modern Contemporary Fine Art Gallery (see Venue information). She is past Vice President of the Whitney Foundation, which helps fund and supplement those educational, health and housing projects that bring about positive changes in peoples’ lives. Curator of Art at New Museum Los Gatos (NUMU). Her passion for art and art education motivates her work as a curator, consultant and art advisor. Prior to her position at NUMU, she served as Education Curator and Associate Art Curator at The Museums of Los Gatos. Her professional experience includes work as an independent curator, art historian, teacher and designer. Ms. McGrath has a Bachelor’s Degree in Art and holds a Master of Arts in Art History. Gutfreund Cornett Art is an independent curatorial partnership between Karen Gutfreund and Sherri Cornett which specializes in creating exhibitions on themes of “art as activism” to stimulate dialog, raise consciousness, encourage social change. Past exhibitions have focused on democracy, social justice, feminism and immigration issues. The Gutfrend Cornett Art exhibition, RISE! Empower, Change and Action Reception and Artist Talk and Walk at Whitney Modern in Los Gatos, California last Saturday was completely uplifting and inspiring with artists as far away as New York sharing the moving inspiration and fascinating stories behind their work.The exhibition is intended to create a dialogue between artist and community together over important issues feminist issues of out time." 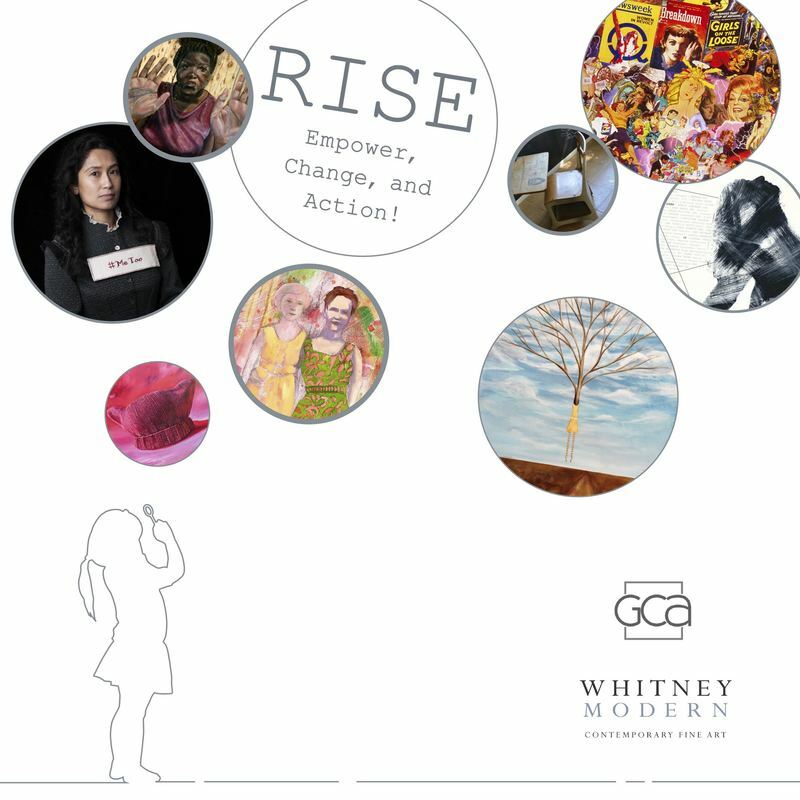 "Saturday was the opening reception for the RISE: Empower, Change and Action! exhibit at Whitney Modern Gallery in Los Gatos. The drive from Richmond is a wondrous and congested adventure. My last excursion to the area was for an exhibit titled Factor XXat the Art Museum of Los Gatos in 2011 featuring nonfigurative female artists. Seven years later, the need for equality lingers.